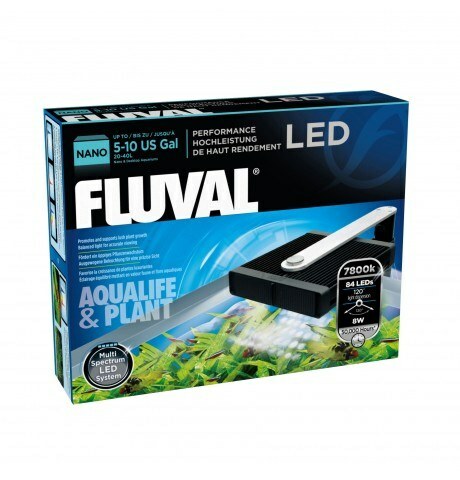 Fluval Nano Aqualife & Plant Performance LED Lamp provides a balanced combination of multiple LEDs for optimal photosynthetic activity, plant growth and accurate viewing of your aquarium fish and its aquatic environment. 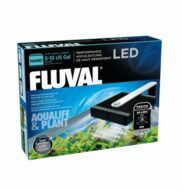 Fluval Nano Aqualife & Plant Performance LED Lamp provides a balanced combination of multiple LEDs for optimal photosynthetic activity, plant growth and accurate viewing of your aquarium fish and its aquatic environment. Measuring only 14 cm x 15.5 cm (5.5” x 6”), this NANO light is ideal for small aquariums, providing full spectrum daytime lighting that promotes and supports lush plant growth, as well as mystic blue night-time lighting.